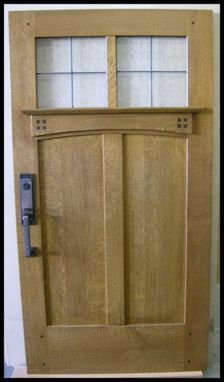 Arts & Crafts Designer Series Entry Doors. Handcrafted entry doors inspired by the early Arts & Crafts designs of Harvey Ellis, Gustav Stickley, Limbert and others. Can be made in any size or suitable species. Available as slab or pre-hung and unfinshed or finished. 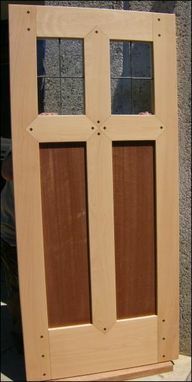 Custom leaded glass or glazing available. With or without lock hardware. Made specifically to fit your home. Custom trim kits are available. 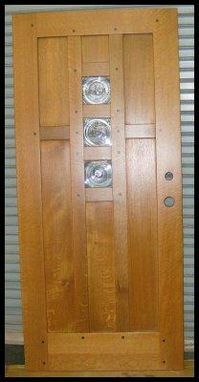 See our website for more info and photos or call the shop and speak directly to me. Dimensions: Can be made in any size you require.